Stakeholder engagement. Ugh. The words just sound inherently boring. So how does a city convince its overworked, overscheduled residents to contribute to the planning process? 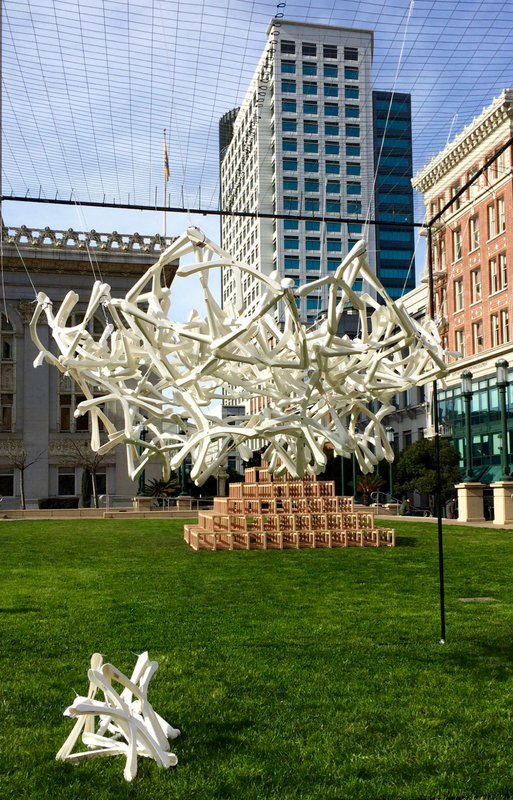 Oakland is taking a unique tack as it works on its Downtown Specific Plan. In addition to more typical (and contentious) community meetings to discuss the plan, the city is collaborating on a Public Design Fair that turns the feedback process into all-ages playtime. 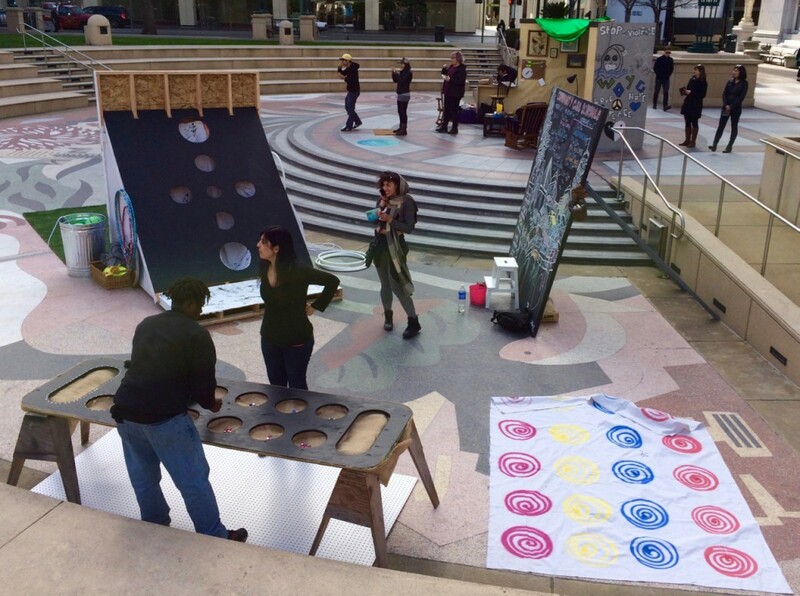 The fair is taking place in Frank Ogawa Plaza. 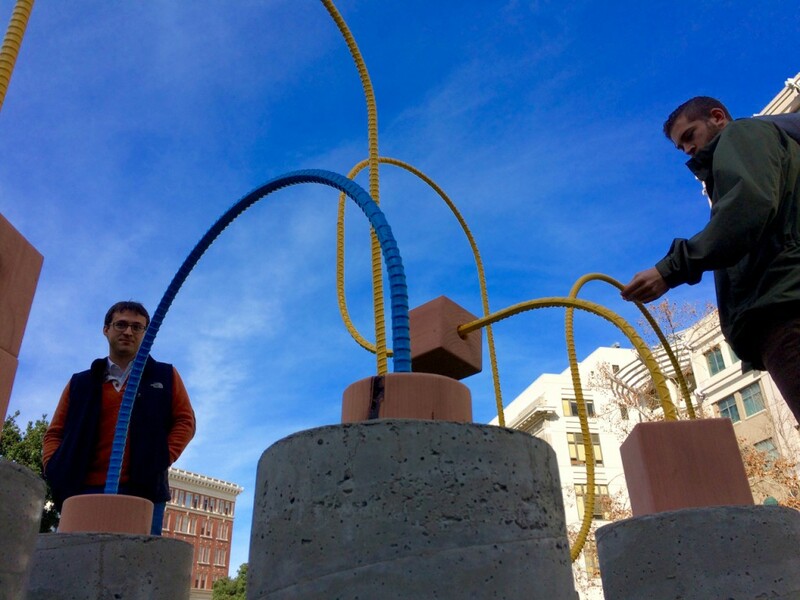 The public square is full of interactive design projects that encourage climbing, gaming, and general fun. 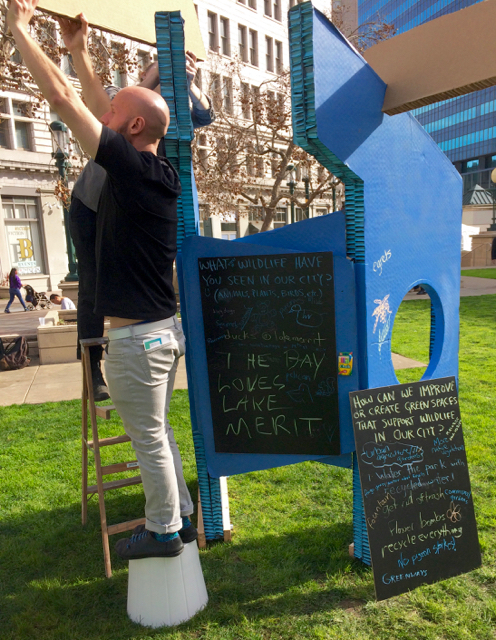 And then, just when they least expect it, visitors may just find themselves offering their thoughts on what they like about Oakland and what they hope for its future. 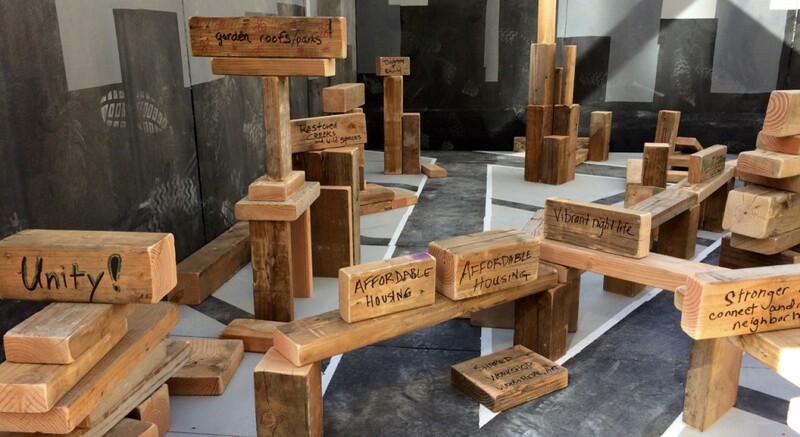 Visitors got to write their vision for the future of Oakland on scrap wood and then stack them into a cityscape. Waaaay cooler than writing on a poster. And here is some of the feedback generated today. A board asked, “How do you want to play in Oakland?” and provided stickers–this is a planning exercise after all–to place next to your choice. One of the options was “Pedal Powered Pump Organ,” and you know I put my sticker in that box. 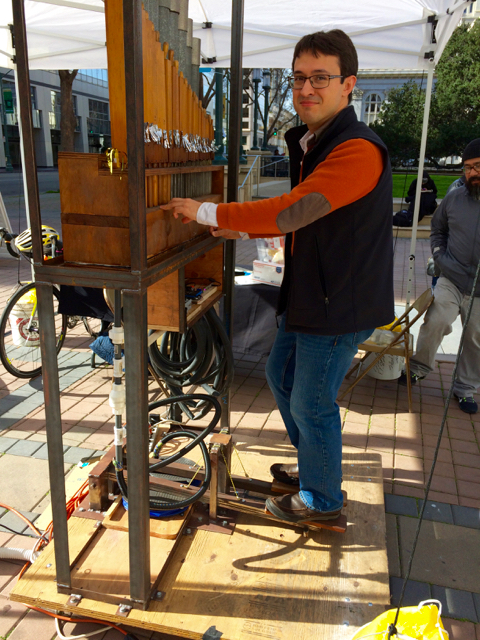 This is the organ, presented by Oakland industrial arts school The Crucible. Why it’s just like being in a giant, outdoor pediatrician’s office! I don’t know what this thing is or how you were supposed to interact with it, but it sure looks cool. Are grown adults supposed to climb on this thing? We weren’t sure, but we did anyway. 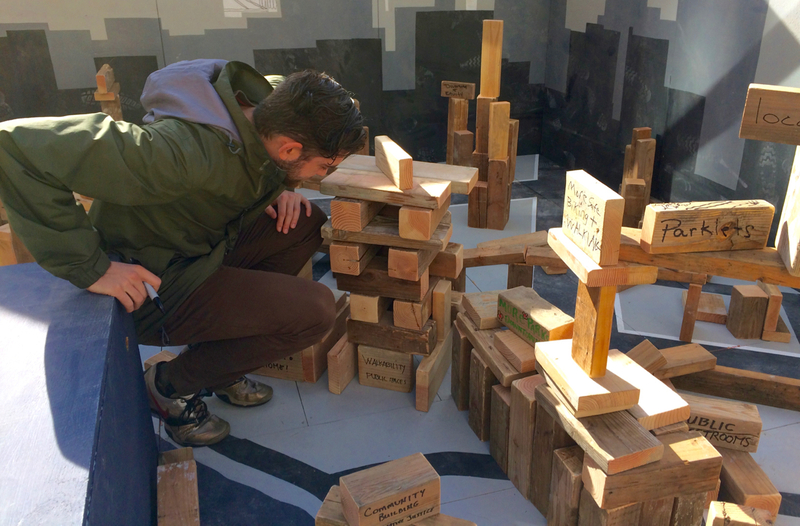 The Forum featured a bunch of games, including a huge mancala board and definitely not Twister™, as well as an outdoor living room designed to provide a comfortable space for visitors. Another station where people are invited to write responses to prompts. It was still under construction. 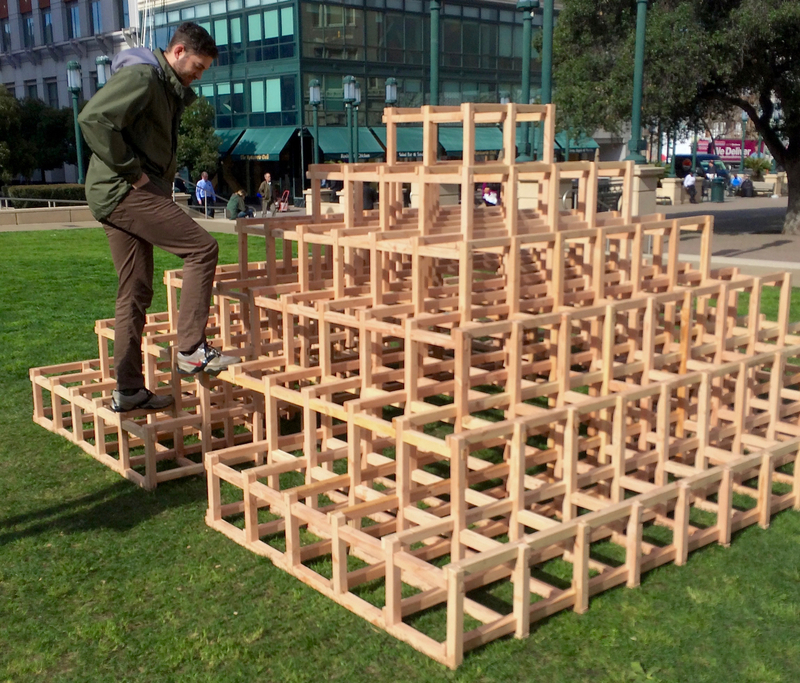 This entry was posted in Events, Urban Planning and tagged design, Frank Ogawa Plaza, interaction, Oakland, outreach, That's Hella Oakland. Bookmark the permalink.